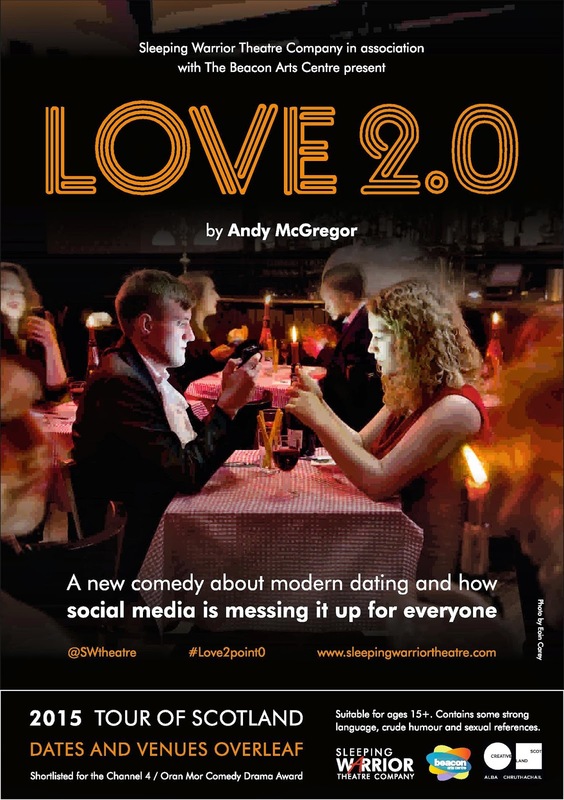 It has been some journey, taking over three years in total (see here and here) but we started rehearsals for my comedy 'Love 2.0' last week. It is going on tour all over Scotland and I'm really excited to share it with a wider audience. You can get the tour details here. It is a co-production between my company - Sleeping Warrior - and the Beacon Arts Centre in Greenock. The set arrives in a couple of days (designed by Kirsty McCabe). It's going to be a really exciting time and we can't wait to get the show up and running and in front of audiences.